The claim that missionaries destroy culture has been around for a while. There are a lot of answers to the claim, not the least is the work of Yale Historian Lamin Sanneh and sociologist Robert Woodberry. But let me add another perspective. Language and culture are intricately linked. A person’s language expresses their culture. It contains the concepts that pass the culture from generation to generation. So work which enhances the reach or use of that language necessarily protects and promotes the culture. Some languages have very complex scripts. Think of a script as an alphabet and the rules that govern its use. For example, in English we have an alphabet with two cases – upper case and lower case, or capital and ordinary letters. We have rules that govern when we use upper case and when we use lower case. iGnOrE tHoSe RuLeS aNd ReAdInG gEtS dIfFiCuLt, and writing too. Just try typing that! Some scripts have more than two cases. I have heard of four. 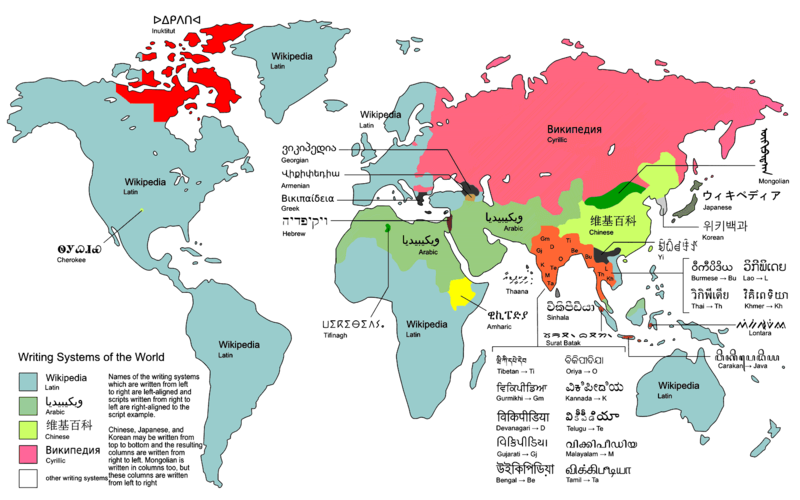 And there are several other kinds of complexity used in writing systems around the world. This kind of complexity poses issues for keyboarding the language on a computer. Here is a link to an interesting short slide show showing even more complex scripts. When you get to the page, click on the map to launch the slide show. You have to manually advance the slide show from one section to the next. Some highly skilled people have put in a LOT of work so that all these scripts can be used on a computer; so that people who speak those languages can send email to each other, or post in their language on Facebook, or have web sites for their organizations, government offices, and businesses. They did this with little backing from computer companies. Who were they? Well, they were missionaries. They wanted to be able to keyboard these languages in order to translate the Bible, teach people to read and produce Christian literature. But their work can be used much more widely. When they finished, what did they do? Did they archive the systems they created? Did they hide them? No, they spent even more time and money to make the technology available to everyone, using a widely accepted standard called Open Source, then they did more work to make it available on a website, free for anyone, none of which they needed to do for their own purposes. They did it so that the people who speak those languages, whether they are Christians or not, will benefit from the tools they developed. A pretty strange way to disrespect and destroy cultures, I think. This entry was posted in Culture, Faith now, Linguistics, Technology and tagged alphabets, complex scripts, language development, non-roman scripts, scripts. Bookmark the permalink. Ed, you explain it so well! Thanks for sharing. We’re praying for you. This is so relevant to understanding languages and cultures at the same time. Indeed. Great to have your comments. Wow. That’s kind of a long ways from Davis! May the Lord bless you there. Say hello to Goma Mabele, if you see him.